Impact Banner - Center of Home Page - Upper and Lower. $500 per month, $1200 for three months - both locations share all impact banners. Minimum guaranteed page views of 1500/day. These are home page Web Specials and a new trailer may be substituted several times a month. They can be linked to the specific ad or back to your website. Left Side (Home Page Only) Towers $500/mo. 120 X 300. Very high visibility. 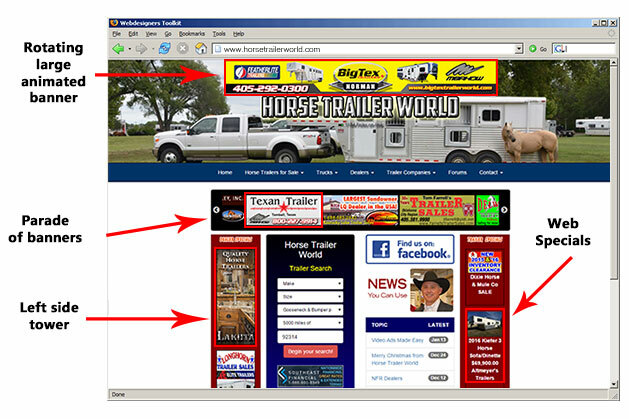 Two banners (one on the home page and one inside Trailer Talk) rotate as board sponsors appearing both on the home page and also inside Barrel Talk. Sponsors of Barrel Talk are able to discuss and promote their products as well. Blue Star designation as a Dealer with online inventory to sell. Unlimited number of trailers allowed. 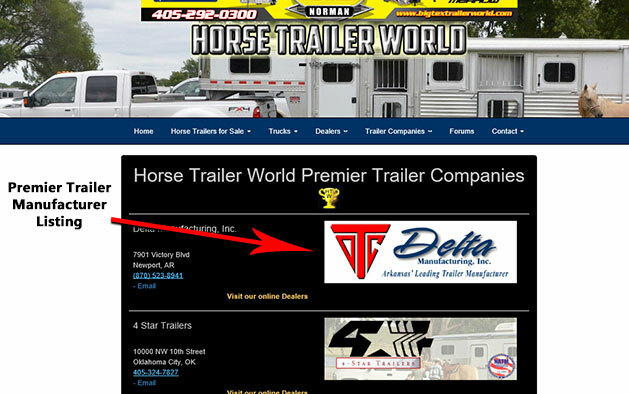 Full access to the Horse Trailer Blue Book. 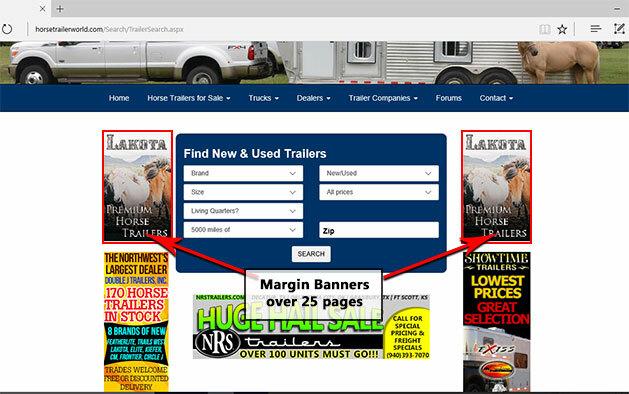 You can have all your trailers automatically listed on your own website, so you never have to type in a trailer ad twice. Enter them on HTW and with a few lines of code on your web pages, the inventory shows up over there. There is no mention of or path back to HTW. $1500 Std. site with inventory system, custom graphics and online credit application and featured trailers on the home page and "flash" pictures rotating on home page.